The Temple Church was built by the Knights Templar in two parts: the Round and the Chancel. The Round Church was consecrated in 1185 and modeled after the circular Church of the Holy Sepulchre in Jerusalem. The Chancel was built in 1240. The Temple Church serves both the Inner and Middle Temples and is located between Fleet Street and Victoria Embankment at the Thames River. Its grounds also house the Crown Offices at Crown Office Row. All licensed Bar Attorneys in the U.S. owe their allegiance and give their solemn oath in pledge to the Crown Temple, realizing this or not. This is simply due to the fact that all Bar Associations throughout the world are signatories and franchises to the international Bar Association located at the Inns of Court at Crown Temple, which are physically located at Chancery Lane behind Fleet Street in London. The Inns of Court to the Crown Temple use the Banking and Judicial system of the City of London - a sovereign and independent territory which is not a part of Great Britain (just as Washington DC is not a part of the north American states, nor is it a state) to defraud, coerce, and manipulate the American people. These Fleet Street bankers and lawyers are committing crimes in America under the guise and color of law. The present Queen of England is not the “Crown,” as we have all been led to believe. Rather, it is the Bankers and Attorneys who are the actual Crown or Crown Temple. The Monarch aristocrats of England have not been ruling sovereigns since the reign of King John, circa 1215. All royal sovereignty of the old British Crown since that time has passed to the Crown Temple in Chancery. 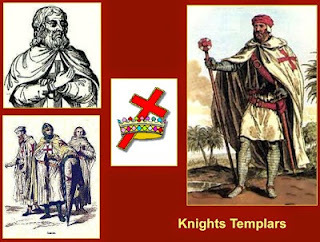 Since the first Chancel of the Temple Church was built by the Knights Templar, this is not a new ruling system by any means. The Chancel, or Chancery, of the Crown Inner Temple Court was where King John was, in January 1215, when the English barons demanded that he confirm the rights enshrined in the Magna Carta. This City of London Temple was the headquarters of the Templar Knights in Great Britain where Order and Rule were first made, which became known as Code. By what authority has the “Crown” usurped the natural sovereignty of the American people? Is it acceptable that the U.S. Supreme Court decides constitutional issues in the U.S.A? How can it be considered in any manner as being “constitutional” when this same Supreme Court is appointed by (not elected) and paid by the Federal U.S. Government? Globally, all the legalistic scams promoted by the exclusive monopoly of the Temple Bar and their Bar Association franchises come from four Inns or Temples of Court: the Inner Temple, the Middle Temple, Lincoln's Inn, and Gray's Inn. These Inns/Temples are exclusive and private country clubs; secret societies of world power in commerce. They are well established, some having been founded in the early 1200’s. 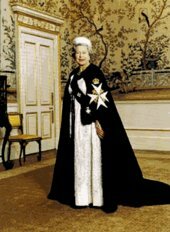 The Queen and Queen Mother of England are current members of both the Inner Temple and Middle Temple. Gray’s Inn specializes in Taxation legalities by Rule and Code for the Crown. Lincoln’s Inn received its name from the Third Earl of Lincoln (circa 1300). Just like all U.S. based franchise Bar Associations, none of the Four Inns of the Temple are incorporated - for a definite and purposeful reason: You can’t make claim against a non-entity and a non-being. They are private societies without charters or statutes, and their so-called constitutions are based solely on custom and self-regulation. In other words, they exist as secret societies without a public “front door” unless you’re a private member called to their Bar. It’s a real eye opener to know that the Middle Inn of the Crown Temple has publicly acknowledged there were at least five Templar Bar Attorneys, under solemn oath only to the Crown, who signed what was alleged to be an American Declaration of Independence. This simply means that both parties to the Declaration agreement were of the same origin, the Crown Temple. In case you don’t understand the importance of this, there is no international agreement or treaty that will ever be honored, or will ever have lawful effect, when the same party signs as both the first and second parties. It’s merely a worthless piece of paper with no lawful authority when both sides to any agreement are actually the same. In reality, the American Declaration of Independence was nothing more than an internal memo of the Crown Temple made among its private members. By example, Alexander Hamilton was one of those numerous Crown Templars who was called to their Bar. In 1774, he entered King's College in New York City, which was funded by members of the London King’s Inns, now named Columbia University. In 1777, he became a personal aide and private secretary to George Washington during the American Revolution. In May of 1782, Hamilton began studying law in Albany, New York, and within six months had completed a three year course of studies, passed his examinations, and was admitted to the New York Bar. Of course, the New York Bar Association was/is a franchise of the Crown Temple through the Middle Inn. After a year's service in Congress during the 1782-1783 session, he settled down to legal practice in New York City as Alexander Hamilton, Esqr. In February of 1784, he wrote the charter for, and became a founding member of, the Bank of New York, the State's first bank. He secured a place on the New York delegation to the Federal Convention of 1787 at Philadelphia. In a five hour speech on June 18th, he stated “an Executive for life will be an elective Monarch”. When all his anti-Federalist New York colleagues withdrew from the Convention in protest, he alone signed the Constitution for the United States of America representing New York State, one of the legal Crown States. Later, as President Washington’s U.S. Treasury Secretary, Hamilton alone laid the foundation of the first Federal U.S. Central Bank, secured credit loans through Crown banks in France and the Netherlands, and increased the power of the Federal Government over the hoodwinked nation-states of the Union. “Our countries are embarked on a new relationship for the 21st century, founded on a commitment to the values of democracy, the free market, and the rule of law.” - Joint Statement by President George W. Bush and President Vladimir V. Putin on 11/13/01, spoken from the White House, Washington D.C.
1776 is the year that will truly live in infamy for all Americans. It is the year that the Crown Colonies became legal Crown States. The Declaration of Independence was a legal, not lawful, document. It was signed on both sides by representatives of the Crown Temple. Legally, it announced the status quo of the Crown Colonies to that of the new legal name called “States” as direct possessive estates of the Crown. All “Constitutional Rights” in America are simply those dictated by the Crown Temple and enforced by the Middle Inn Templars (Bar Attorneys) through their franchise and corporate government entity, the federal United States Government. The Crown Temple was granted Letters Patent and Charters for all the land of New England by the King of England, a sworn member of the Middle Temple. Since the people were giving the patent/charter corporations and Colonial Governors such a hard time, especially concerning Crown taxation, a scheme was devised to allow the Americans to believe they were being granted “independence.” Remember, the Crown Templars represented both parties to the 1776 Declaration of Independence; and, as we are about to see, the latter 1787 U.S. Constitution. To have this “Declaration” recognized by international treaty law, and in order to establish the new legal Crown entity of the incorporated United States, Middle Templar King George III agreed to the Treaty of Paris on September 3, 1783, “between the Crown of Great Britain and the said United States”. The Crown of Great Britain legally was, then and now, the Crown Temple. This formally gave international recognition to the corporate “United States”, the new Crown Temple States. Most important is to know who the actual signatories to the Treaty of Paris were. Take particular note to the abbreviation “Esqr.” following their names as this legally signifies “Officers of the King’s Courts”, which we now know were Templar Courts or Crown Courts. This is the same Crown Templar Title given to Alexander Hamilton. The workings of the Crown Temple in this day and age is moreso obvious, yet somewhat hidden. The Crown Templars have many names and many symbols to signify their private and unholy Temple. Take a close look at the one dollar $1 private Federal Reserve System (a Crown banking franchise) Debt Note. Notice in the base of the pyramid the Roman date MDCCLXXVI which is written in Roman numerals for the year 1776. The words ANNUIT COEPTIS NOVUS ORDO SECLORUM are Roman Latin for ANNOUNCING THE BIRTH OF THE NEW ORDER OF THE WORLD. 1776 signifies the birth of the New World Order under the Crown Temple. That’s when their American Crown Colonies became the chartered government called the United States, thanks to the Declaration of Independence. Since that date, the United Nations (another legal Crown Temple by charter) rose up and refers to every nation as a State member. God has reserved His judgment for the great idolatress, Rome, the chief seat of all idolatry, that rules over many nations with whom the kings have committed to the worship of her idols. The Pope and His purported Church; sitting on the Temple throne at the Vatican; ruling the nations of the earth through the Crown Temple of ungodly deities are the Rule and Order of Babylon; the Crown of godlessness and the Code of commerce. Now that their false Temple has been exposed, how does this apply to the Kingdom of Heaven? To reach the end, you must know the beginning. For everything ordained of God, there is an imitation ordained of evil that looks like the genuine thing. There is the knowledge of good and the knowledge of evil.